Some people debate the value the Internet has on the music industry. Sure, with all the stolen music off the web from the late ‘90s and early 2000s, a good argument can be made why it hurts the business as a whole. But then you hear stories of bands that only made it because of the Internet, and it makes you sit back and think of what impact it truly has had. From nearly calling it quits to over 5 million album sold, today’s band would be a great case study. At Colorado Springs Christian High School in 1996, a couple of seniors were in a car talking about music. Both guys were shocked that the other had the same eclectic tastes, and seemed more about the underground stuff than the mainstream. They put together a band, played a number of gigs at the Pikes Peak Coffee & Tea House – but senior year ended, they all went to college, and that was it. Fast forward six years later, the guys reunite in Los Angeles deciding to give it another try. After getting a quick deal with Columbia Records, the band seemed set. 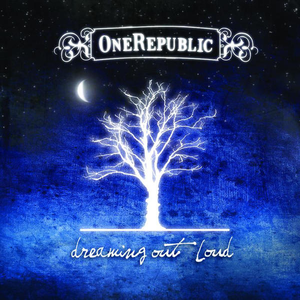 After various line-up tweaks, two name changes, and nearly three years in the studio, Columbia got upset with the lack of progress and OneRepublic was dropped. At the time, many people looked to the social networking website MySpace as a way to check out upcoming acts. They were listed as the number one unsigned act on the site, catching the attention of super producer Timbaland. He liked what he heard, and OneRepublic became the first rock act signed to his label. With MySpace saving the band from breaking up, there was newfound hope. They got right into the studio and began recording Dreaming Out Loud. The debut album was released in November of 2007. On the album, Timbaland had stepped in and created a remix of their track ‘Apologize.’ The single took off beyond their wildest expectations. The song would go on to reach number one of many countries, and peaking at number two on the Billboard 100 in the states. In spite of the song hitting it big before the album was available, the success carried over, with sales over two million worldwide to date. Critics were skeptical of the originality of the band, but seemed to agree some potential was there, especially when teamed up with one of the best producers in the industry. I would certainly agree if you’ve heard an early 2000s melodic rock band, you won’t be hearing anything revolutionary in your headphones with this album. However, the remixed ‘Apologize’ track is completely unique, and put the band on the map for good reason. So much so, it’s been used in over 75 TV shows, films and commercials. The album has a production quality that is completely unlike any other act of the time. It’s almost hard to believe this isn’t a remaster, since it sounds so perfect. It does run together a bit, but for a debut effort, it’s very solid. They feature heavy bass and woodwind instruments on a few tracks, which is really neat and unique. Not every album is music history, but listening to the start of what has become a major pop act can always be fun. Dreaming Out Loud is worth $5 bucks, and an hour of your day today.